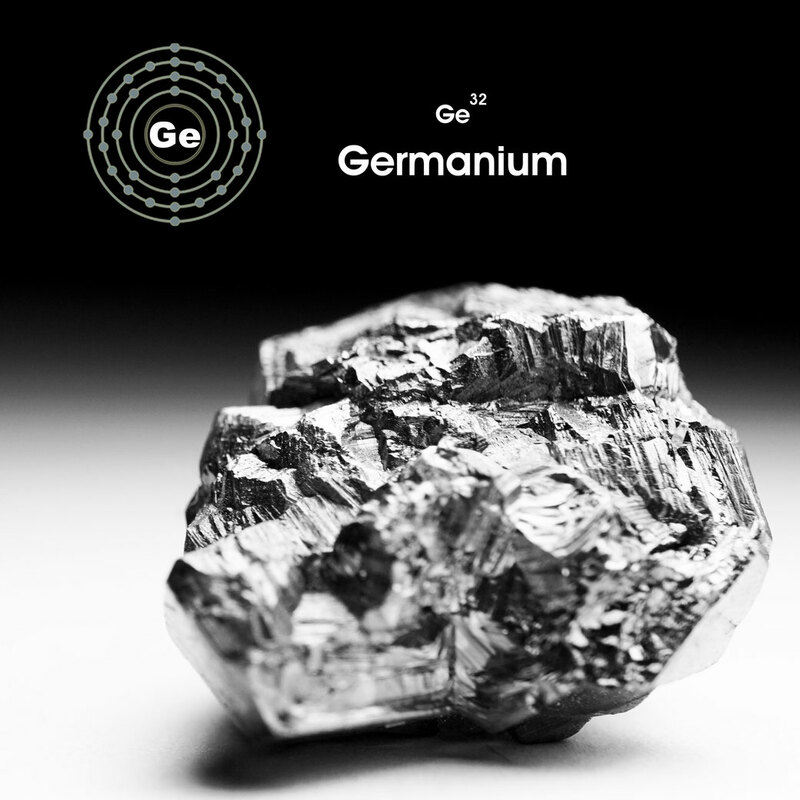 Germanium Will Save Your Foot - Using germanium material to increase energy during physical activity. 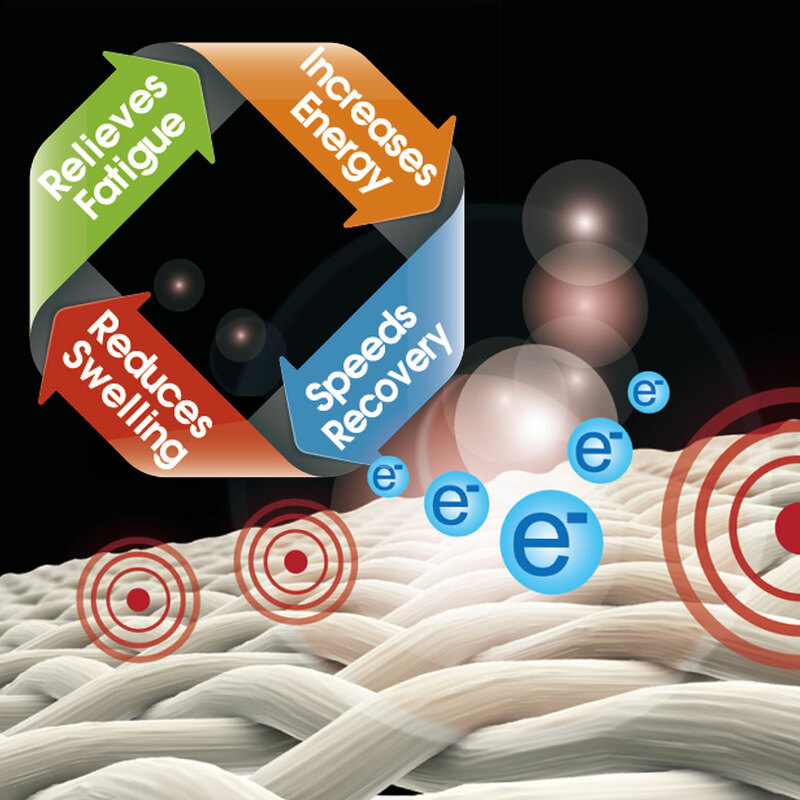 Release the far infrared and negative ions to improve blood flow and increasing oxygen-carrying capacity. Keep your better performance in increasing leg endurance. 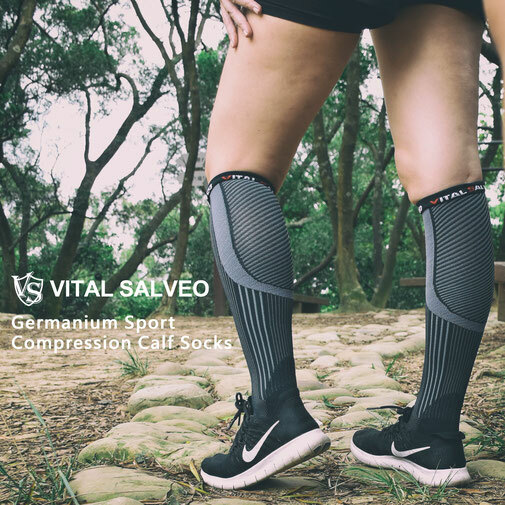 Foot Pain Relief & Prevent Injury- The graduated compression(20-30mmHg) to improve blood circulation. Relief your leg pain including plantar fasciitis,arthritis, varicose veins, muscle injuries, swollen, etc. 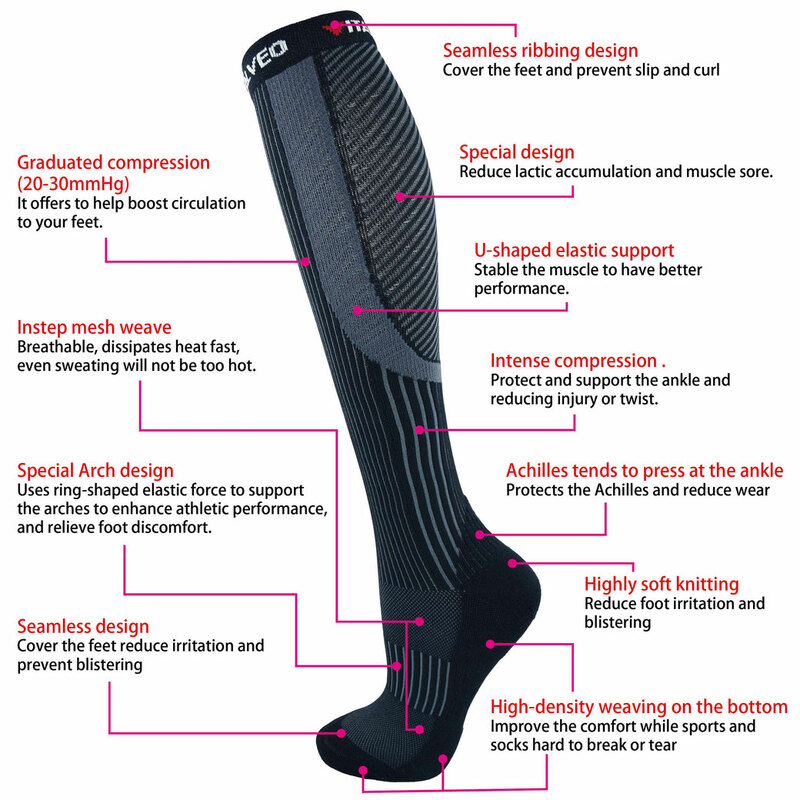 Targeted Compression - It features targeted compression to each part of your leg. Great designed compression socks always keep your leg in a good mood. Surpass Yourself -The lightweight matercial won't hinder your mobility especially when you are doing physical exercises.Ideal for marathon, walking, jogging, running, cycling, hiking, soccer, rugby and more. 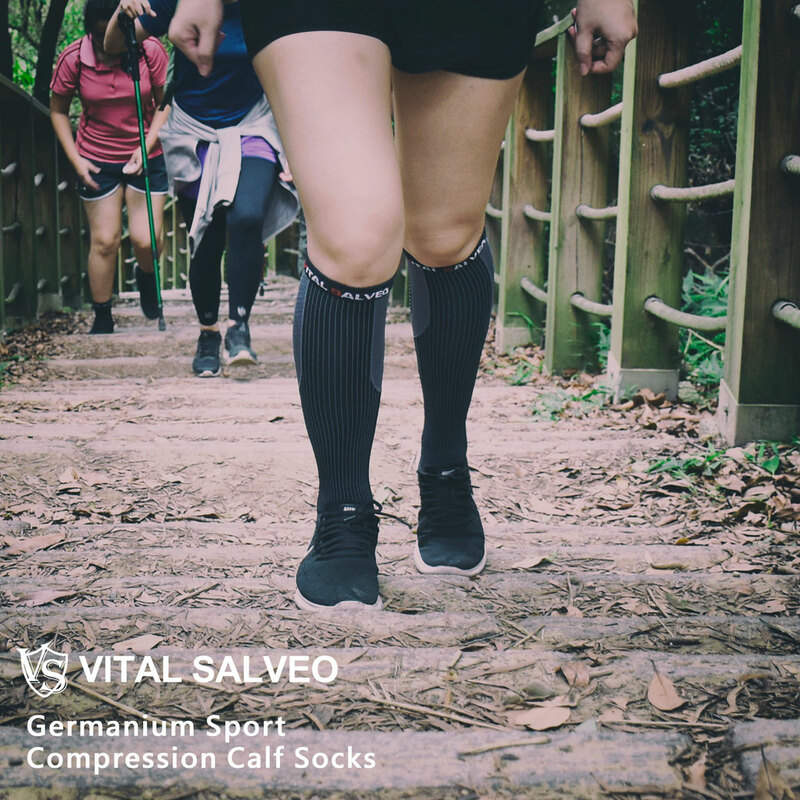 Our compression socks are perfect for daily use especially for people in retil, nuring, pregnancy, travel, and jobs that require you to be on your feet a lot. And I promise that you will love them! 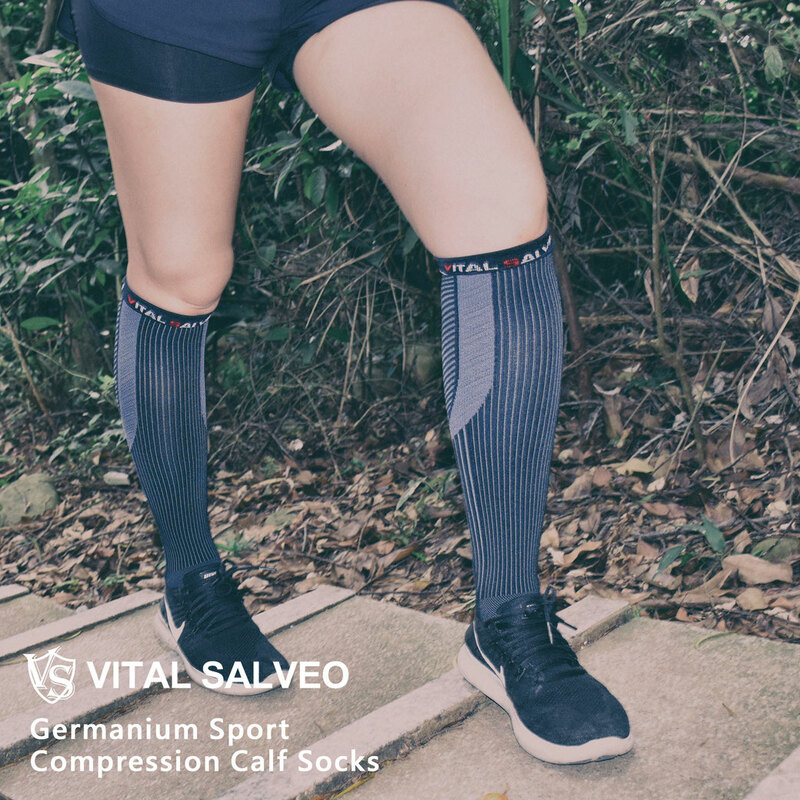 100% Satisfaction Guaranteed -We have full confidence that our compression socks will meet all your expectations.If there are any problems, please contact us, we will arrange to take a replacement or refund your purchase ASAP. Click "Add to Cart" now and start your wonderful journey!